The renin-angiotensin system (RAS) plays an integral role in blood pressure regulation and also exerts a diverse range of direct effects on vascular homeostasis. 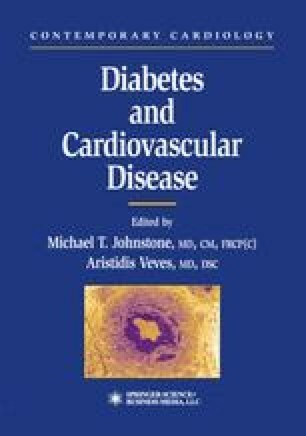 Reports from a growing number of clinical trials have demonstrated that suppression of the RAS by angiotensin-converting enzyme (ACE) inhibitors reduces the onset and/or progression of certain renal (1–7), retinal (8,9), and cardiovascular (5,9–12) complications of diabetes mellitus. These findings, along with a considerable body of experimental evidence, suggest that the RAS contributes to the etiology of vascular dysfunction and disease caused by diabetes.